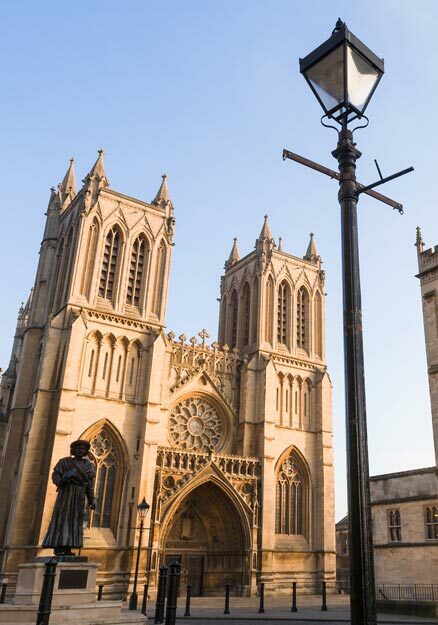 Despite being a city built on trade and maritime exploration, Bristol has grown to become one of Britain’s most visited cities. And it’s little wonder, with Brunel’s iconic Clifton Suspension Bridge, the SS Great Britain, Bristol Zoo Gardens, Cabot Tower and St. Mary Redcliffe Church within walking distance of one another. Familiar with the opportunities influencers present for destination marketing organisations, Destination Bristol wanted to leverage the world famous Shaun in the City initiative and other local attractions to raise awareness of what the South West’s biggest city has to offer among its core audiences. Bristol is a city consistently featured at the very top of lists of the best places to live in the UK. Working with Digital Visitor, we’ve been able to convey to potential visitors exactly what it is about Bristol that makes it so special through bloggers they’re familiar with. And we’re incredibly happy with the results – not only the coverage gained for Destination Bristol, but also the promotion of many of the city’s key stakeholders. To achieve these targets, our team got in touch with influential bloggers based in Bristol and beyond. Inviting them to events and attractions across the city, we naturally grew the impact of Destination Bristol’s core messaging. Leveraging our relationship with many of the UK’s leading bloggers, we secured coverage on 26 individual websites, including Tigerlilly Quinn, New Mum Online and Wild & Grizzly. Covering a wide range of niche interests, this activity generated a massive 2,143,698 opportunities to see. Working continuously with a number of these bloggers, our activity resulted in the publication of 32 individual articles for the city. Covering everything from Bristol at Christmas and Bristol Cocktail Week to At-Bristol, Bristol Zoo and The Matthew, this content not only drove awareness of city activities, but also directly supported key local stakeholders. Aside from the pure coverage enjoyed by Destination Bristol as a result of this PR campaign, it generated widespread discussion and viral sharing across social channels – 142 blog comments, 432 social shares, 93 natural links.